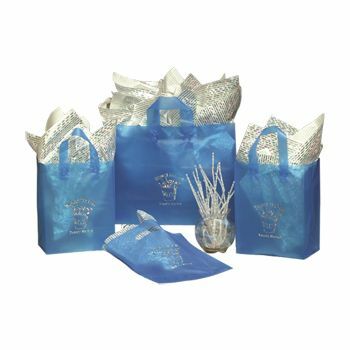 Your customers will proudly carry home their gifts or purchases in these smart frosted clear trapezoid shopping bags. 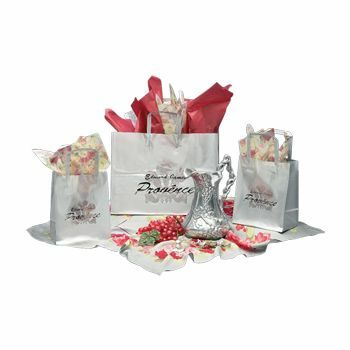 The attached handles make it easy and convenient to hold the bags while walking. 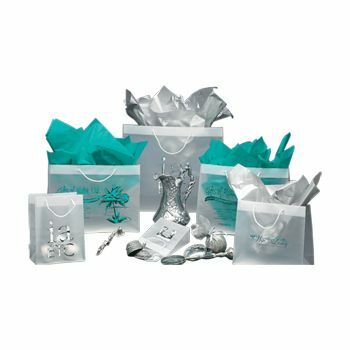 13/9 X 10 X 3"
18/13 X 13.5 X 4.5"
22/16 X 17 X 5.5"
These frosted clear trapezoid shopping bags are a clever way to wrap up giveaways or your customers' purchases. 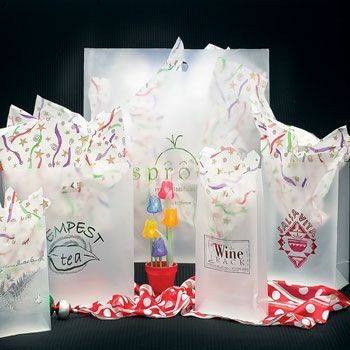 The attached handles will help your customers easily carry their purchases. 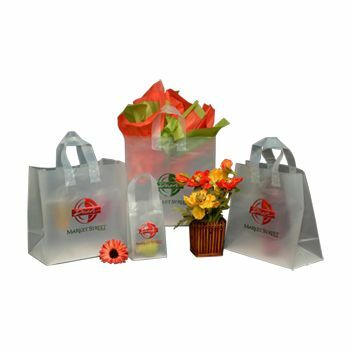 Get your trapezoid shopping bags customized in any color of ink. 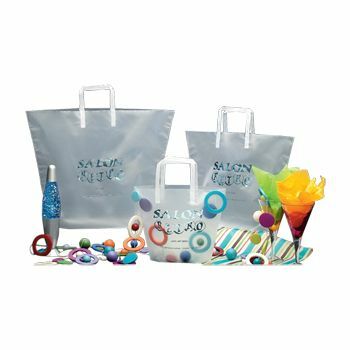 You can have your logo, slogan or company image printed or hot stamped onto the bags. When you require a rush delivery of your order, the items are guaranteed to arrive on time. 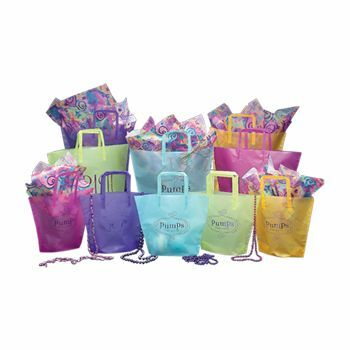 Start creating your custom trapezoid shopping bags now.